You probably know by now that I'm a fan of Neapolitan. 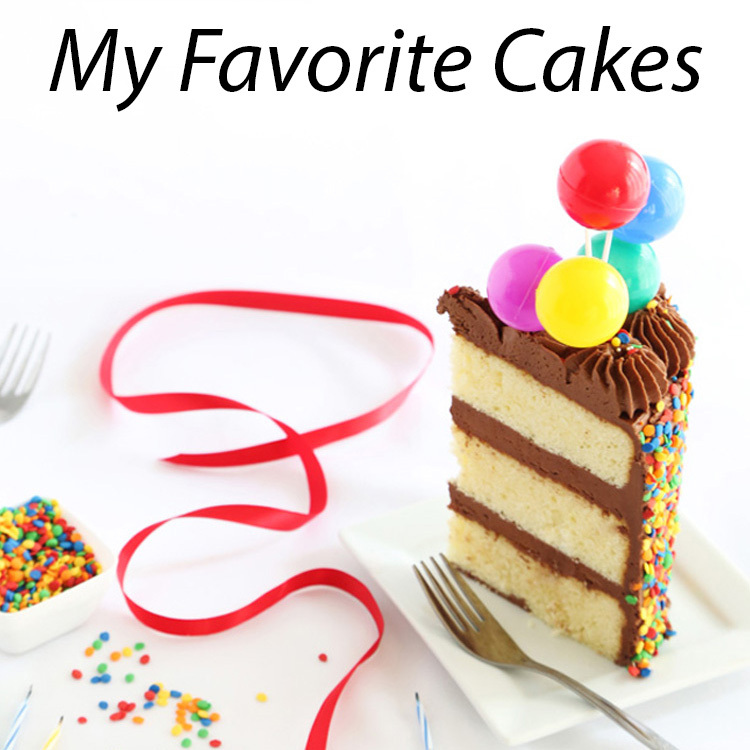 There's a Neapolitan layer cake in my first cookbook and there's even another Neapolitan cupcake on this blog! I genuinely love the chocolate-vanilla-strawberry flavor combination. It's not just for ice cream, I tell ya! 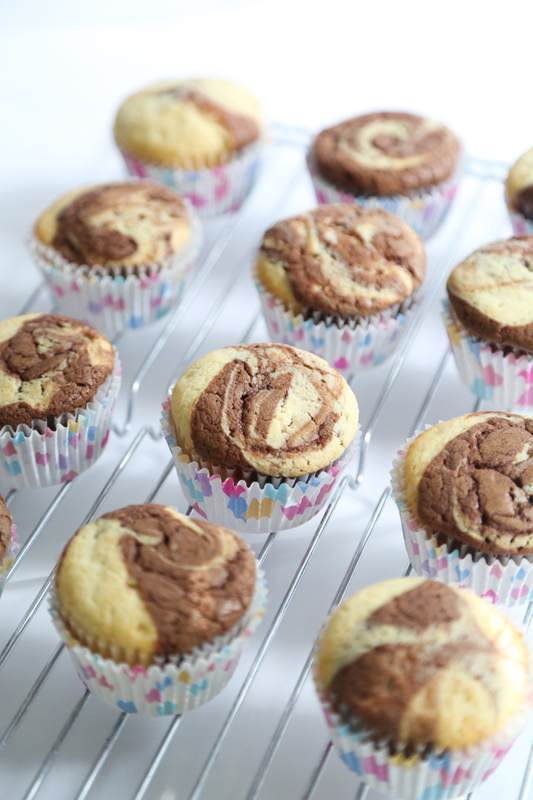 I'd never made marble cupcakes before, so I researched a few recipes before I settled on, well, none of them. I ended up using my favorite yellow cake recipe and adding melted chocolate to part of the batter. This made life much easier than whipping up two separate vanilla and chocolate cake batters - and I'm all for zero stress in the kitchen! And how about those sprinkles!? I was smitten when I first saw them for purchase on Fishs Eddy. They were created by Amy Sedaris and bear the same name as her hilarious 2008 "cookbook" I Like You: Hospitality Under the Influence. I just love how crazy-mixed-up they are! 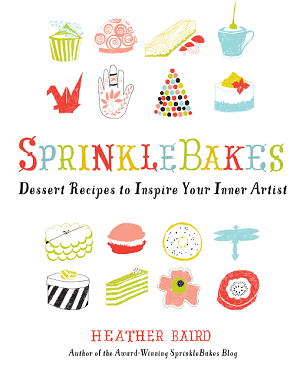 Sprinkles, jimmies, nonpareils, dragees, sanding sugar, - you name it, it's in there. Also, those little "I Like You" chocolate pieces really tugged at my heartstrings. 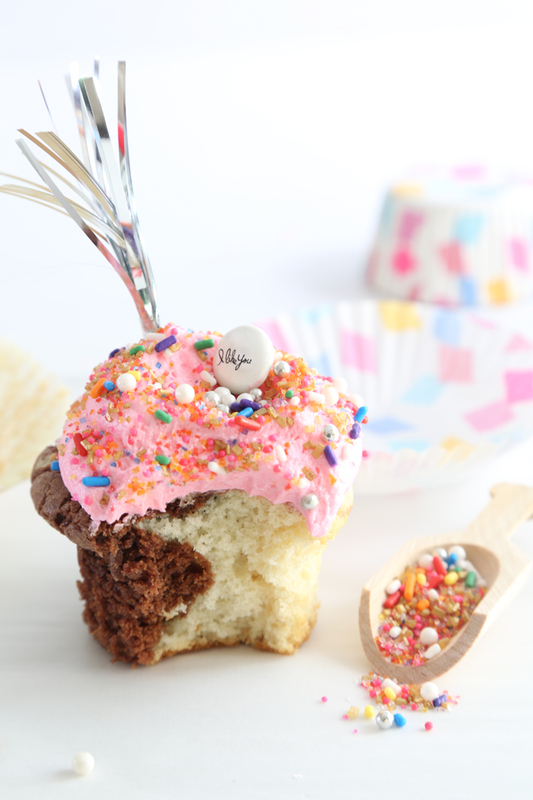 Who wouldn't love getting a cupcake that says I Like You? I tried using a skewer to swirl the batter together, but it wasn't doing a very good job. The batter is thick and I found that a butter knife worked much better. 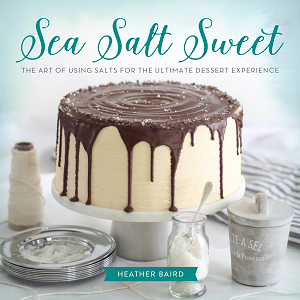 You won't even have to smooth the top of the batter after you're done swirling. It will puff up nicely as it bakes. 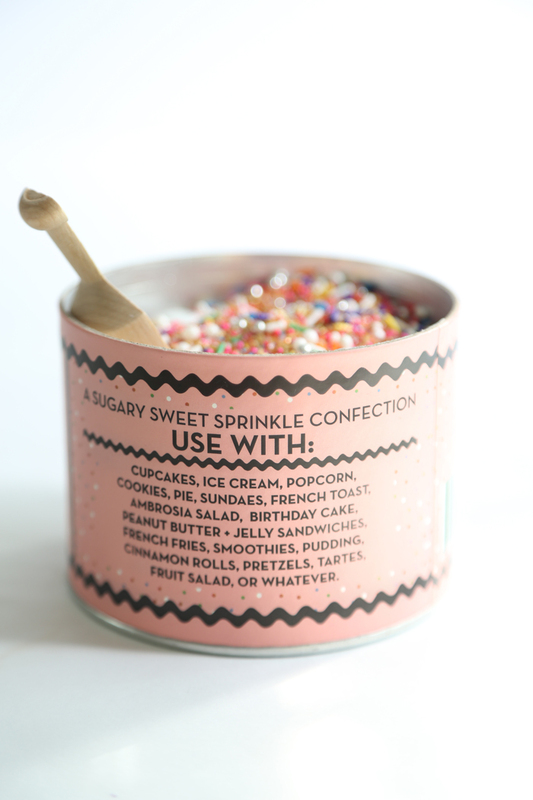 The recommendations on the back of the sprinkle container made me giggle - 'OR WHATEVER'. I frosted the cupcakes using a 1/2-inch plain decorator tip, but you could also use a zip top bag with the corner snipped. I made a little divot in the icing using a butter knife. This allows for a little pool of sprinkles on top. The strawberry buttercream is deliciously light and fluffy. I used LorAnn Strawberry oil to flavor the cupcakes, but you could also use pure strawberry extract. Both yield a bright fragrant strawberry flavor. I recommend using high quality semisweet chocolate in this recipe. Chocolate chips have stabilizers in them which can create tough, chewy cakes. Valrhona chocolate is my favorite brand to use in chocolate cakes, but any fine quality bar will do. 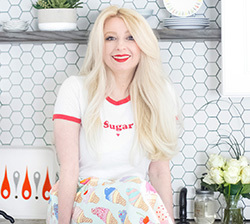 The cupcake papers and toppers are made by Meri Meri, and I found them at Home Goods. You can find them for purchase online, too. 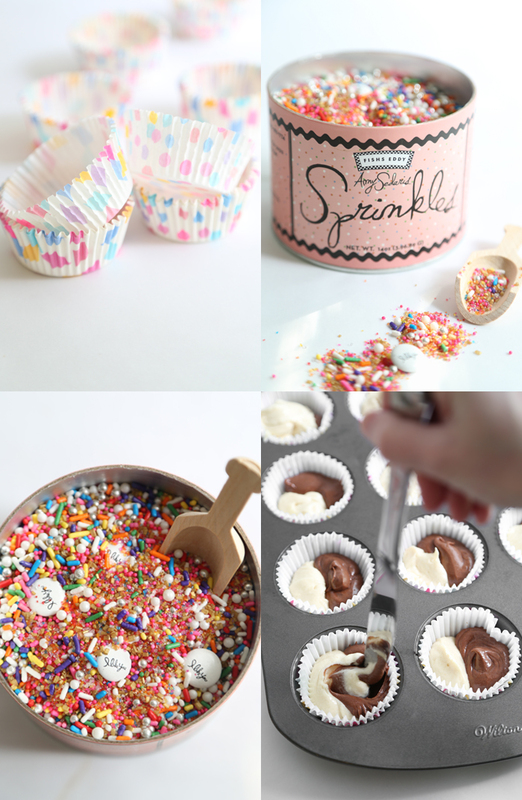 Make the marble cupcakes: Line a standard size cupcake tin with cupcake liners. In a separate, larger bowl, cream the butter. Gradually add the sugar, and beat until light and fluffy. Add the egg and beat well. Add half the flour mixture to the butter and mix well. Add the milk and mix well. Add remaining flour and mix well. Remove 3/4 cup batter and place into a small bowl. Stir in the melted chocolate. 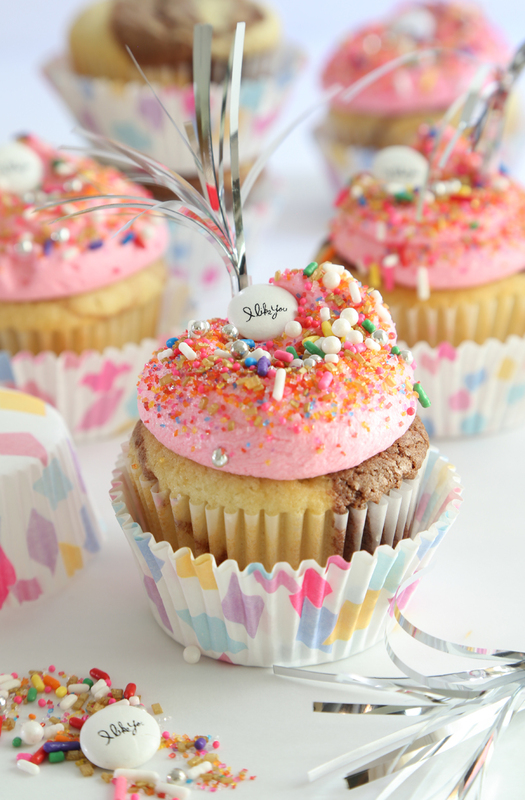 Pour portions of both batters into the cupcake papers 2/3 full. Bake for 15 to 20 minutes, until the cakes spring back when touched. Remove from oven and let cool for about 5 minutes, then turn the cupcakes out of the tins and onto a wire rack to finish cooling completely. Make the frosting: Cream the butter in an electric mixer fitted with the whip attachment. Add the confectioners’ sugar and mix until just combined. Add the milk a little at a time. You may need more or less milk to reach piping consistency. Add the strawberry flavoring and mix until fluffy. Add pink food color a little at a time and beat until a bright pink hue is achieved. Scrape down the bowl and mix again as needed. 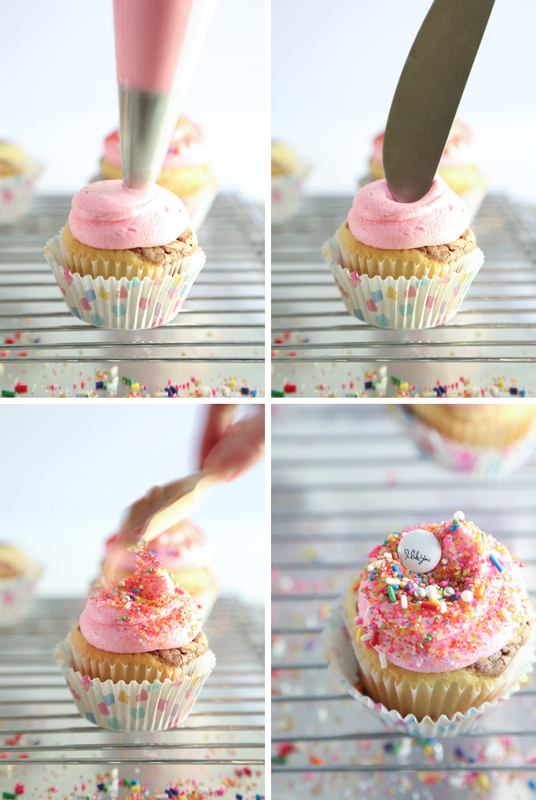 Transfer the frosting to a piping bag fitted with a 1/2-inch open tip. Pipe frosting onto the cupcakes and top each cupcake with sprinkles. Yum, strawberry frosting! 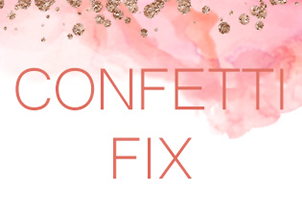 I've never seen sprinkle confetti before, it's really neat. It makes the cupcake really pretty too. 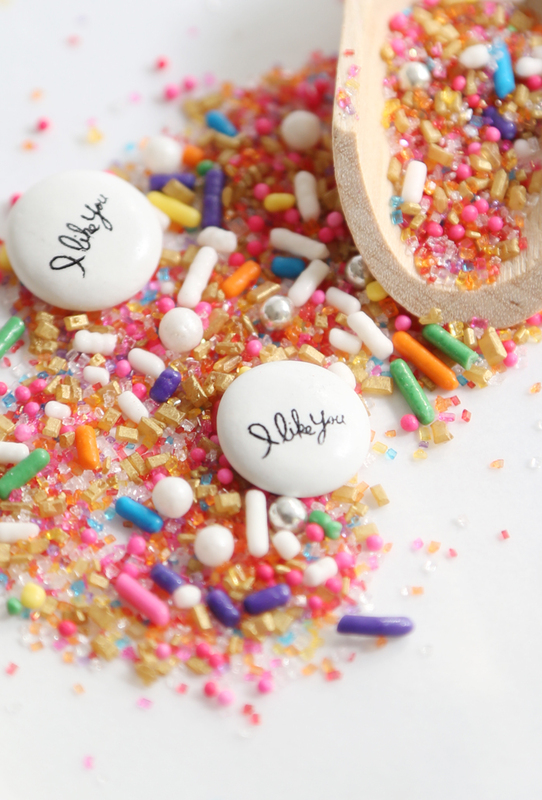 I have heart eyes for these sprinkles! Love them on that strawberry frosting! Beautiful photos! Definitely going to make these this weekend! I'll let you know how they come out! What beautiful cupcakes! I love the swirl of flavors! 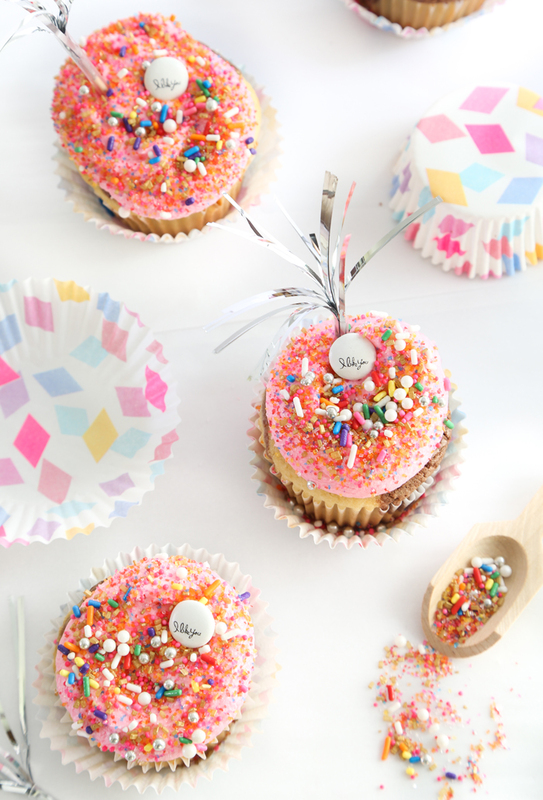 Those sprinkles are amazing! Do you bake the cupcakes at 350?